13 Week Bump Date, Ultrasound, and Renovation Update! I can’t promise I’m going to do these updates every week, what with renovations and kiddos and all, but I can give it a shot! I’m happy to say I have some energy back I’m still accidentally taking naps here and there, but at least not so exhausted that I have to nap every day. I’m glad to be able to do my thing without headaches and everything. I haven’t gained much weight – only about three pounds – but I’ve definitely got a little more belly than usual. Too bad it doesn’t look like a cute little bump yet. It’s mostly just a “did you eat a large dinner?” sort of belly. Yikes. Yesterday, we went for our first ultrasound, and it was so awesome. That never gets less incredible, no matter how many times you see your unborn baby on that screen. It’s amazing to see hands and feet and a button nose, that looks just like Sister’s. Another thing that was totally adorable was EK, pointing at the screen, saying, “My baby! That’s my baby!” I pretty much cried, seeing the ownership she’s already taking of that little soul. What a good sister. Our little jellybean, with the cutest button nose, waving hello! The one thing we did find out at the ultrasound is that our screening for chromosomal abnormalities came back positive. They took some blood, and I will get those test results back in two weeks. So pray that the blood test comes back totally normal, and that we won’t have any chromosomal disorders to worry about. My doctor didn’t seem worried to see the first screening positive, so we are trying (as hard as we can) not to worry either. 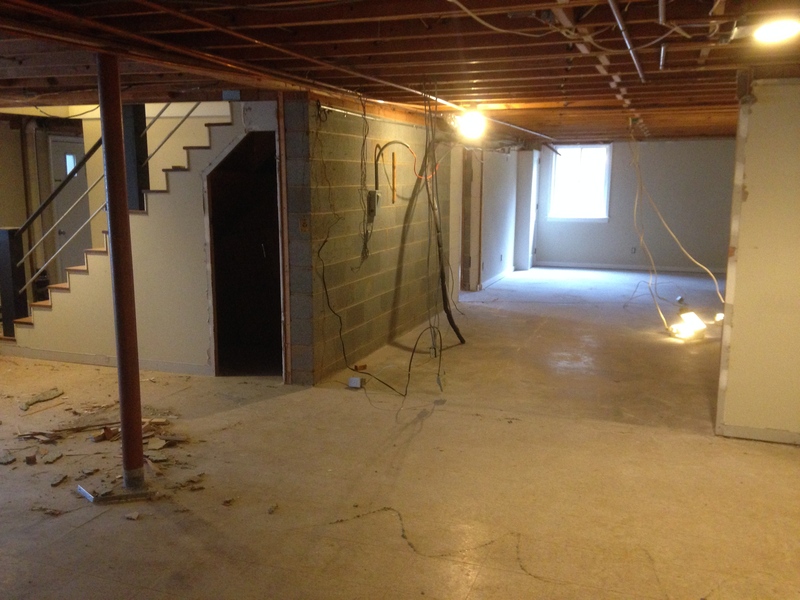 This one long room used to be Hubby’s music studio (on the far side of the stairwell) and will now be two bedrooms! The perspective is from the family room (former and future). 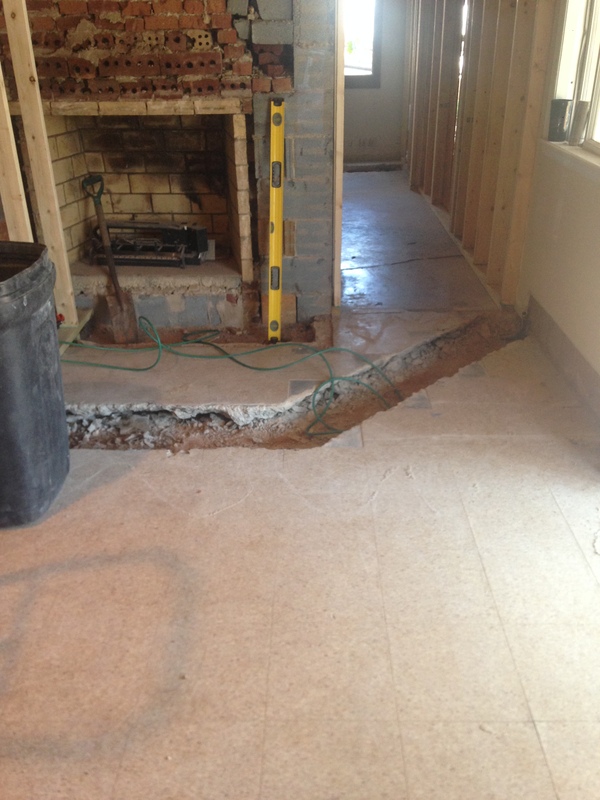 This was today’s project: Jackhammering through the floor to lay a new pipe for the laundry room. The fireplace there looked like that after they removed the veneer. Disturbingly messy brick laying, but the contractor says it’s strong and sound, so they’re leaving it. We’ve been spending every other day or so at Hubby’s parents’ house, which serves a double purpose… our kids can nap, and we can also get some laundry done while we’re here. It’s a nice way to be away from a loud and dusty home! So there’s a little life update for you. What’s going on in your life?! dang, they weren’t able to tell you what you’re having? 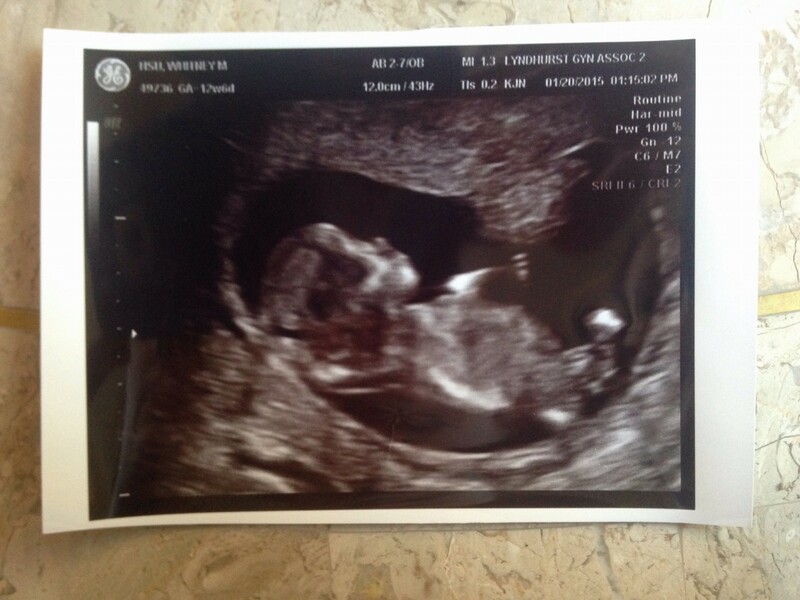 I found out I was having a boy at my 13 week ultrasound…she asked if she could see if we wanted to know. Yeah, I saw it before the lady did…I was pissed..hahaha…really thought it would be a girl. It took my a while to get over it, but man, a girl now? Yeah, I don’t know…my 7 year old niece is a DRAMA QUEEN.